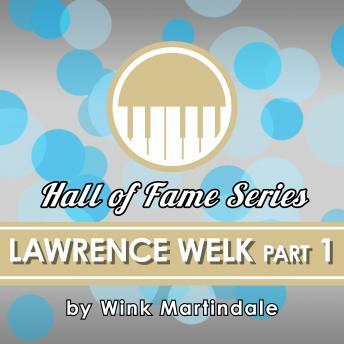 Lawrence Welk left home at the age of 21 and spent two years trying to get a job with bands with little success. Though his career got off to a rocky start, Welk would go on to become a renowned musician, bandleader and television personality. In Part 1 we hear about Welk's earliest days of his life and career. In a conversation with Wink Martindale in 1973, he reflects on the beginning of his career and journey to success while sharing intimate details about his personal life and experiences.